Samsung Electronics Co., Ltd., the world leader in advanced memory technology, today announced the industry’s first mass production of three gigabyte (GB) low power double data rate 3 (LPDDR3) mobile DRAM, the highest density mobile memory solution for next-generation smartphones, which will bring a generation shift to the market from the 2GB packages that are widely used in current mobile devices. The Samsung 3GB LPDDR3 mobile DRAM uses six of the industry’s smallest 20-nanometer (nm) class* four gigabit (Gb) LPDDR3 chips, in a symmetrical structure of two sets of three chips stacked in a single package only 0.8 millimeters high. With a full line-up of package dimensions, Samsung’s new ultra-slim memory solutions will enable thinner smartphone designs and allow for additional battery space, while offering a data transfer speed of up to 2,133 megabits per second (Mbps) per pin. [blockquote cite=”Young-Hyun Jun, executive vice president, memory sales & marketing, Samsung Electronics “] Three gigabyte mobile DRAM will be adopted in the most up-to-date, high-end smartphones starting in the second half of this year − an initial adoption that will expand to most high-end smartphones worldwide next year. We will develop a new 3GB LPDDR3 solution based on four 6Gb LPDDR3 DRAM chips by symmetrically stacking two chips on each side, which will boost smartphone performance to the next level by year-end. With the increased mobile DRAM capacity, users can enjoy seamless high-quality, Full HD video playback and faster multitasking on their smartphones. Also, the new LPDDR3 speed up data downloading and is able to offer full support for LTE-A (LTE Advanced) service, a next-generation mobile telecommunication standard. Samsung’s 3GB LPDDR3 DRAM connects with a mobile application processor using two symmetrical data transfer channels, each connected to a 1.5GB storage part. Though asymmetric data flow can cause sharp performance dips at certain settings, the symmetrical structure avoids such issues, while maximizing system level performance. 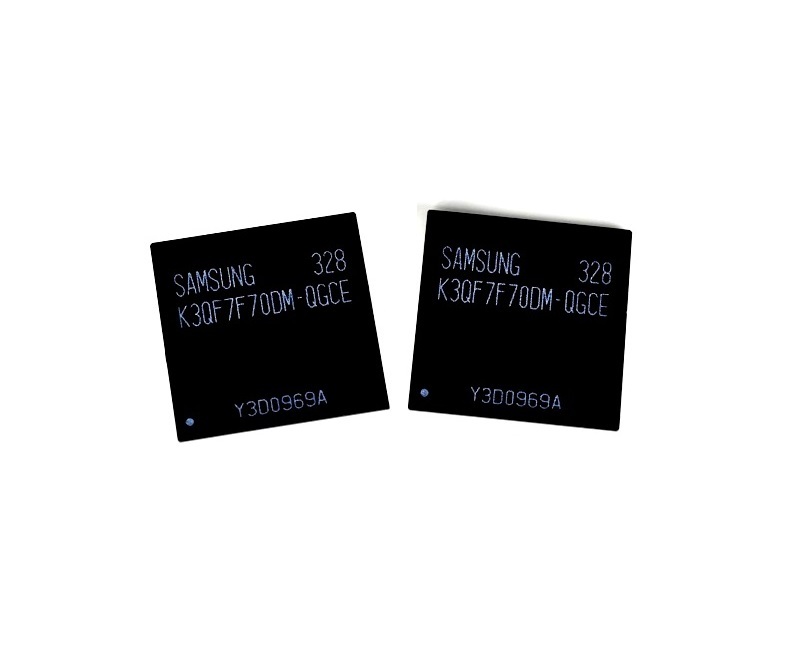 With the new 3GB LPDDR3 DRAM, Samsung is now offering the widest range of mobile DRAM densities (1GB, 2GB and 3GB), while providing the industry’s first mobile DRAM based on 20-nm class process node technology. Samsung plans to continue to lead the growth of the mobile memory market, as it seeks to maintain unrivaled competitiveness in the premium memory sector.